Anyone that travels to Florida resorts or have friends that vacation in Florida undoubtedly have come across the idea of condo hotel ownership. Usually, the pitch for this type of ownership structure goes like this, you deserve the Florida lifestyle, you deserve to have your own vacation residence, you deserve and desire the finer amenities of resorts, and you are a savvy and sophisticated person and have the opportunity to create an income stream from owning your Florida condo hotel! Images of fruity drinks, waves, and infinity pools. Condo hotels were all the rage in Miami Beach and South Florida in 2004 – 2008, then the real estate economy fell off the cliff. Condo hotel units are usually governed by Chapter 718, Florida Statutes. In addition to the regular condominium rules and regulations, condo hotel owners may also be subjected to additional rules and regulations of the resort/hotel. Additionally, condo hotel owners are required to pay service/management fees as well as the costs associated with the furniture, fixtures, and equipment for the unit. 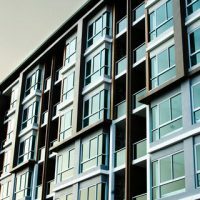 There seems to be somewhat of a trend coming back with more and more condo hotel projects coming into the marketplace. Condo hotel units traditionally are smaller than the size of regular condominium units. For example, in Miami Beach, Florida condo hotels are usually studio sizes ranging from 315-600 square feet. Further, condo hotels are generally more expensive per square foot than the cost of a regular condominium. While the sales pitch for this type of product is attractive, there are many issues that have direct impact on condo hotel owner’s legal rights. First and foremost, as a general rule, owners of condominium hotels do not have the exclusive use of the property. There are many restrictions as to the dates, times and the amount of times you can utilize the property. Second, some condo hotels only allow owners to rent the property through their management system for a percentage of the rental monies. This includes, but is not limited to, managing the bookings, collecting rental monies, and cleaning the property. The split with the resort/hotel can vary, generally from 30-60% of the gross monthly rental revenue. As an owner you may be provided the opportunity to opt out of using the management system and be permitted to rent and manage the unit on your own. However, when this occurs, owners are often times faced with arbitrary and capricious rules regarding renting and managing the property. One of the most classic examples of this is when the resort advises the owner that only the owner of the property can clean the property during the hours of 10:00am-11:00am, no third parties are permitted to clean the property, and because the owner is cleaning the unit the owner can only use the service elevator and cannot park in their regular spot. And of course, there is a daily cleaning fee of $75.00 per day if you the owners doesn’t clean it during this time. Multiply that amount by 200 or so rental days, and you can see why the resorts will often times insist on cleaning the property. Furthermore, while the sales pitch will discuss the potential for a positive rental income stream, there will be no documentation or any substantiating evidence for this assertion. Additionally, good luck on obtaining any traditional financing for the purchase of the condo hotel unit, these types of properties are typically cash only transactions. There is also no guarantee as a condo hotel owner that the resort/hotel will stay the same. The hotel/resort can always be sold and you as an owner no longer can advise your friends that you have a condo hotel at some fancy well known resort. Or worse, let’s say the level of service/amenities decreases and now that fancy resort you have a unit at is more like the Courtyard Marriott than the Ritz Carlton. No offense to Courtyard Marriott, I purposely put in the name of the hotel chain I stay at the most. The result when this occurs is that the value of your property will most likely decrease as well as the daily rental rate for the unit. Sweeney Law, P.A. has been involved in the transactional and litigation aspects of Florida condo hotels and has represented developers and owners of various condo hotel projects throughout Florida. Brendan A. Sweeney, Esq., of Sweeney Law, P.A., a boutique firm in Fort Lauderdale, Florida, Brendan A. Sweeney, Esq., is an AV Preeminent Martindale Rated Attorney, that has been recognized as a Florida Super Lawyer in 2019, Florida Legal Elite in 2019, and as a Florida Super Lawyer Rising Star in 2018, 2017, 2016, 2015, and 2014. If you have any Florida condo hotel questions and/or issues then contact Sweeney Law, P.A. at (954) 440-3993 immediately to protect your rights. www.sweeneylawpa.com.